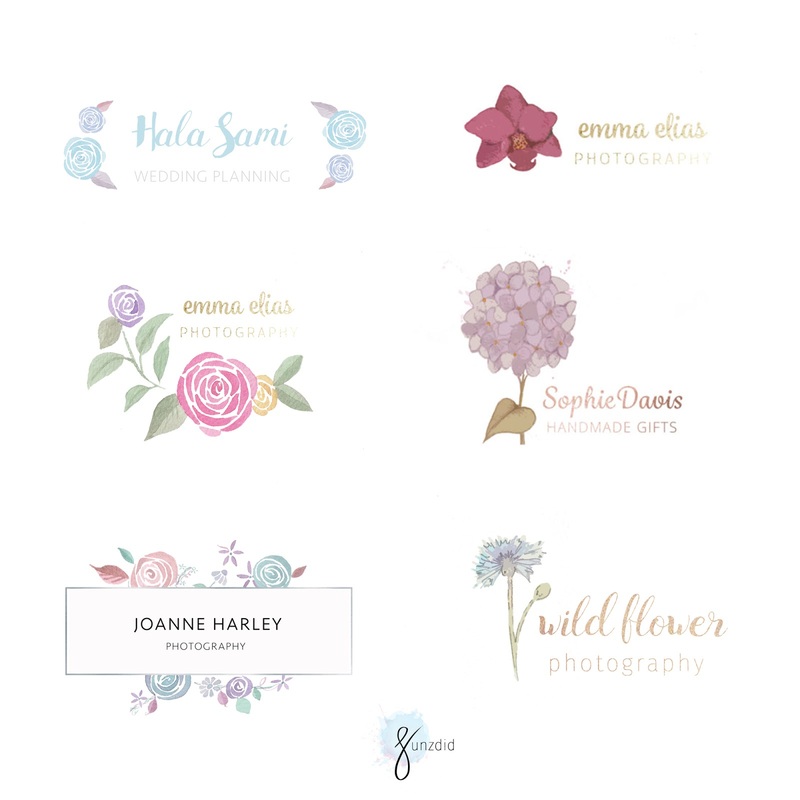 So the past two weeks since I came back, I've been sharing our new branding collection Brand me beautifully is aimed at small businesses, I have used in this collection new techniques and styles I haven't used in previous work. 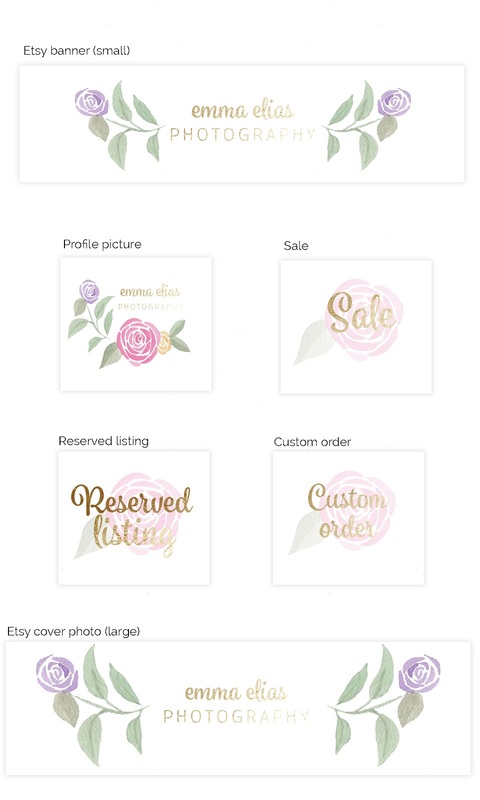 Our new collection comes in different new styles metallic (gold rose, gold foil and silver foil), glitter (in all colours), watercolour texture as well can be made to a custom colour, along with gradient, and plain colour. 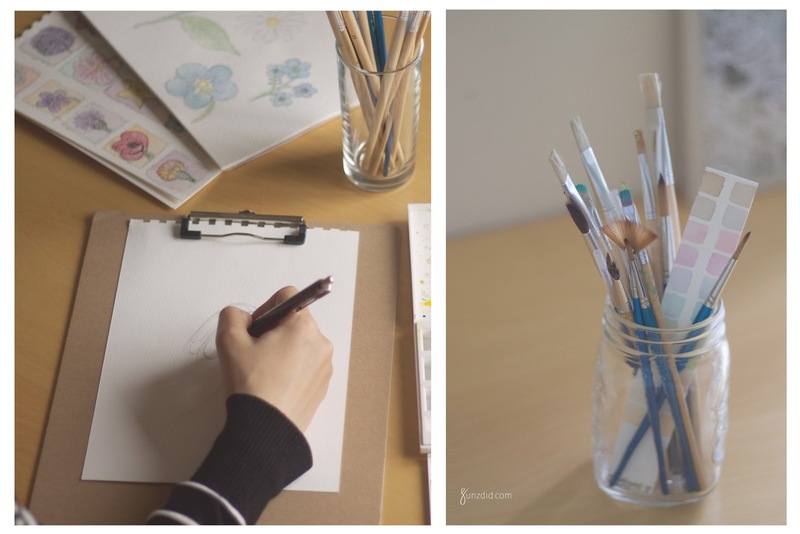 With plenty of different illustrations from minimal to more detailed florals, our logos are beautifully custom for you! 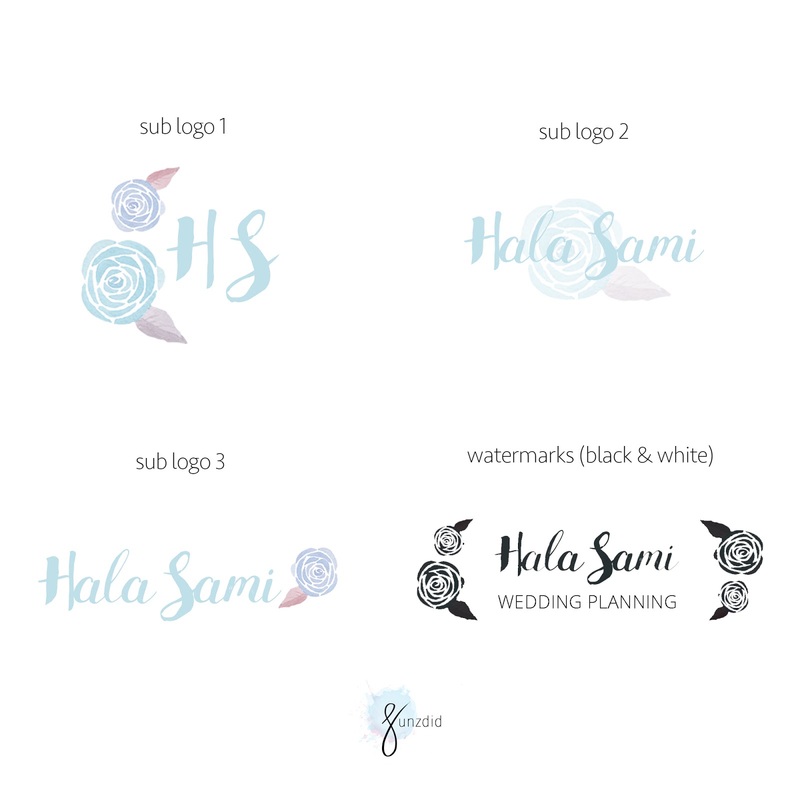 The designing process starts with a simple sketch either by using traditional mediums or as a digital sketch, then step by step with some tweaking, sometimes recolouring and adjusting, finally it turns into a logo! 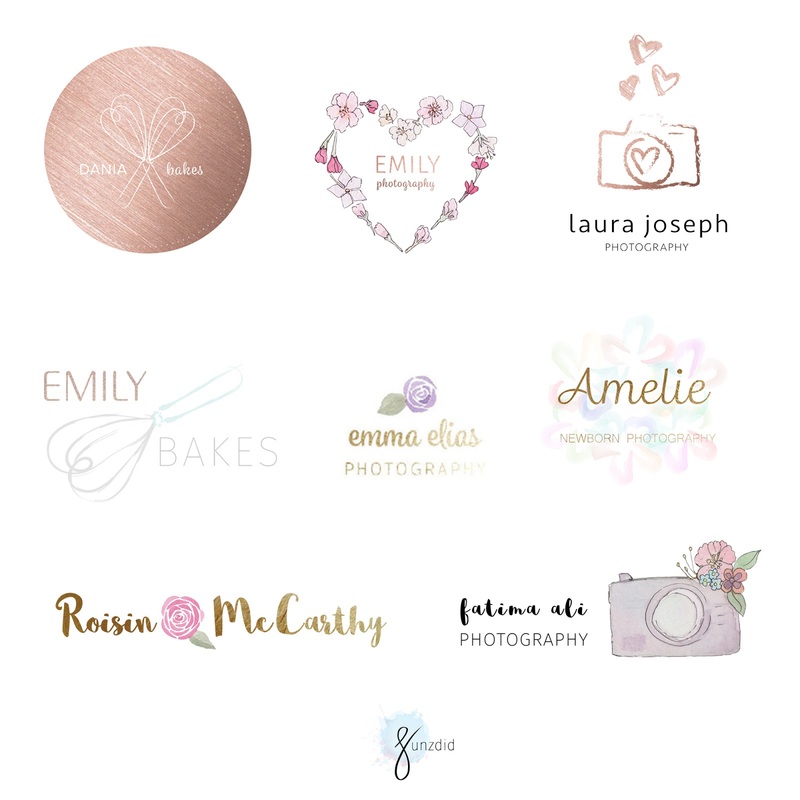 So our branding collection is perfect for any small business (bakery, photography, blog, wedding planner etc). 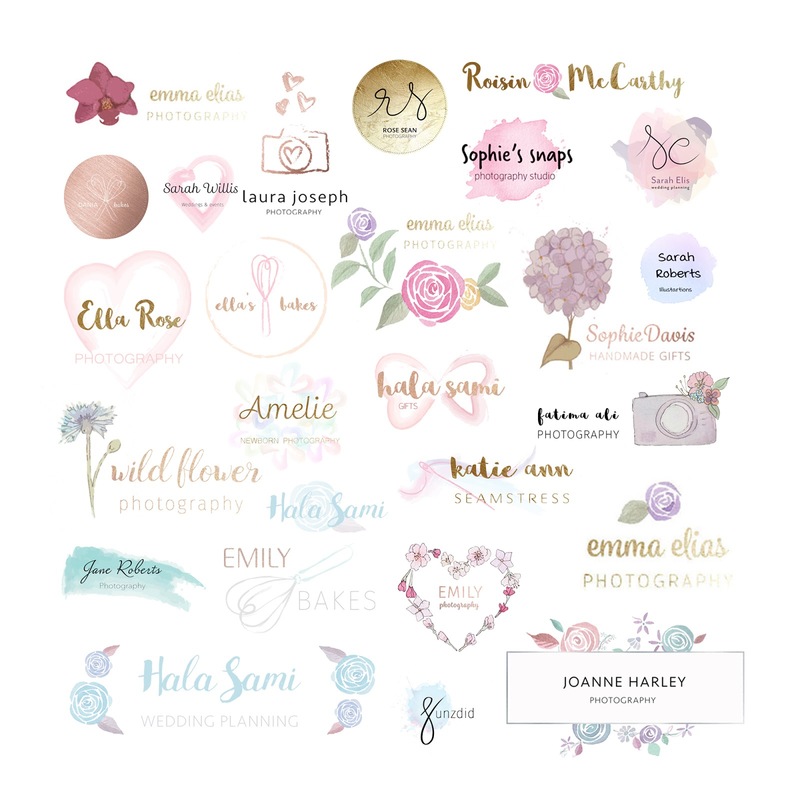 We also offer six packages to choose from and suits you and your business best, from Logo and watermark to business card design and a full Etsy branding package. Prices and much more detail are available in our Etsy shop. 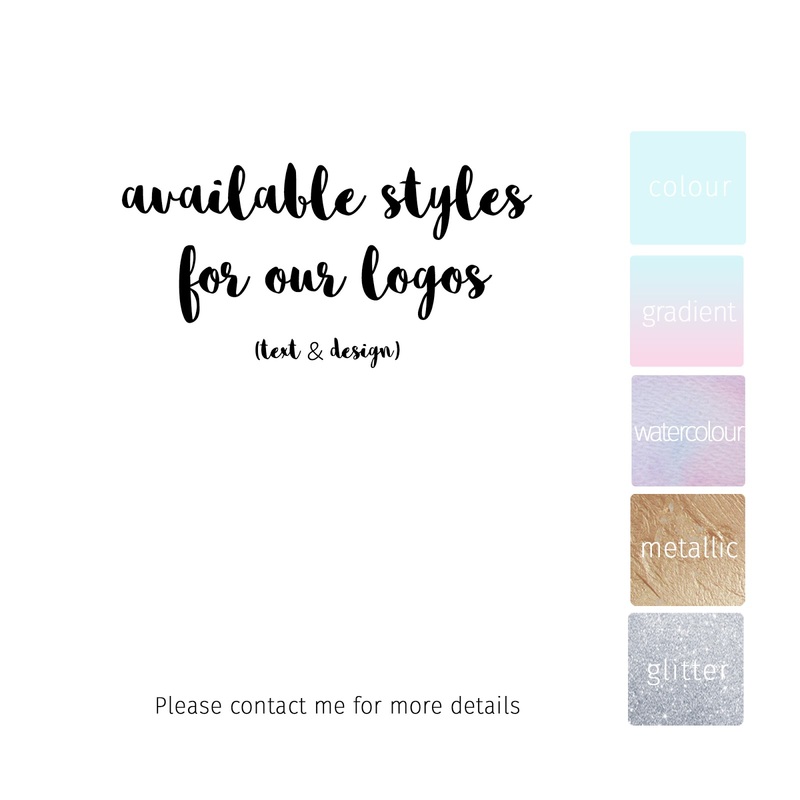 We also offer many adds on that are inexpensive, for existing pre-made and custom logos of ours and also adds on for you current logo, which doesn't have to be purchased from sunzdid. Lately, I got some comments about the colours I use, I've been told they either don't stand out or are pale, simple and too much blank and white in my photographs. Well here's the case, this is simply my personal style, I am not a fan of overcrowded, bright or dark colours, pastels and neutrals have always been the calming colours I admire. I do understand this is not the preferred style that many people go after, and that's absolutely fine! but please do be sure I do design and paint in every colour in the world and have been designing out of my comfort zone with bouquets of flowers haha! Please do leave any comments and tell us what do you think about our new collection? if you have any business enquiries contact me at sunzdid@gmail.com. Till next Tuesday inshallah! Gorgeous work! Love the pale look! Lovely work! Any small business would be lucky to have your work representing their brand!